The RSPB are asking that we join in with the Big Garden Birdwatch by spending an hour of the upcoming weekend recording the number and variety of birds we see in our gardens. I don’t even have to go outside to do this, so plan to spend a nice leisurely hour with a cup of tea and a notebook. 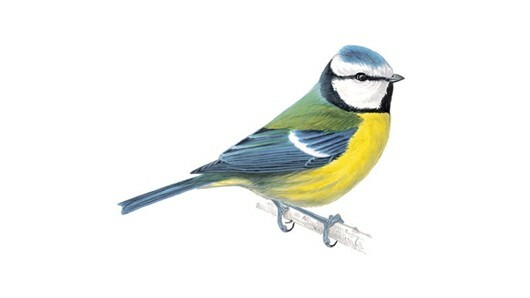 By joining in, not only will you be making a contribution to a vitally important study, when you register to take part you will also receive a £5 voucher to spend in the RSPB shop – I’ve got my eye on a new bird feeder to accompany the wildly successful first one we attached to our window last month. Alongside the hour long study, the RSPB are running a series of Big Garden Birdwatch events, and have lots of ideas of how you can help care for the birds over the winter. I do hope you’ll get involved! I do this every year with my son. We always have the same argument as to whether the bird counts if it lands on next door’s fence. We love watching the birds in our garden since we moved so definitely doing this. Have been trying to teach the children about all the birds (and the squirrels).